New research is starting to show just how dangerous genetically modified gmo foods can be, and why you should avoid them at all costs. GMO's are a result of genetic engineering, during which certain “favorable” traits of one organism are inserted into another organism’s genes—permanently altering the second organism’s DNA, supposedly for the better. An example of this would be manipulating the DNA of a crop like corn so that it has a built-in pesticide or herbicide component. This is just one example of how crops are genetically modified. And, in theory, it sounds like a great idea. Less crop loss due to pests equals more crop yields. More crops mean lower cost and fewer people going hungry. So where’s the harm? Furthermore, GMO foods are threatening small organic farmers’ livelihoods. Since GMOs are patented by giant agricultural corporations, these conglomerates are known to sue family farmers for alleged patent violations, should they come to “possess” GMO technology as a result of completely uncontrollable contamination. So what’s a small farmer to do if sued by a multi-billion dollar agricultural bully? Many just quit farming altogether, leaving us with fewer and fewer organic family-owned farms. The most disturbing point to make about GMO foods is that very little research has been conducted on their long-term safety in animals, much less humans. That is, until recently. In this study, three different rat feedings using genetically modified maize (corn) were conducted at two different labs, on two different occasions. The rats were randomly divided by body weight and fed three different commercially available, genetically modified corn varieties. One type (NK 603) was modified to be tolerant to the herbicide Roundup (and therefore contained trace levels of this chemical). The other two types (MON 810 and MON 863) were altered to synthesize two different Bacillus thuringiensis toxins used as insecticides. There were also two comparative control groups fed similar quantity diets of non-GM corn. Researchers measured 60 different measures of toxicity in the rats’ blood and urine after weeks five and 14. After evaluating results, they found that the most damage appeared to be in the kidneys and livers of the rats, often in the form of tumors. The rats fed the NK 603 maize showed significant damage to their kidneys and livers, particularly in the males. Those fed the MON 810 also experienced significant harm to their kidneys and livers, but this time mainly in the females. These effects were generally detected after 14 weeks of consumption. As for the MON 863 maize, researchers witnessed an incredible 34 significant GM-related effects in the kidneys and liver, this time equally among the males and females. Other statistically significant effects included increases in glucose and triglyceride levels (up to 40 percent) in females versus controls, and higher overall body weight (3.7 percent). In addition to liver and kidney damage, all three GM feed groups where found to have problems with the heart, adrenal glands, spleen and haematopoietic system (which is involved in the production of blood). Most shockingly, 50 percent of males and 70 percent of females died prematurely, compared to 30 percent and 20 percent, respectively, in the controls. This study highlights exactly why altering the genetic composition of food in any way can lead to catastrophic consequences. In 20 or 30 years, we may start to see just how much of an impact GM foods have on human health. But, for now, most people remain completely unaware of the potential dangers lurking in their food. What does this have to do with yeast infections? It's simple really, if you are consuming GMO foods, you are damaging your liver and kidneys, which is your bodies detox system. Because yeasts produce toxins in the form of alcohols known as acetaldehydes, you are slowly poisoning yourself. Acetaldehydes increase your risk of cirrhosis of the liver and multiple forms of cancer. How Do I Avoid GMO Foods? The easy answer is to avoid GMO food. 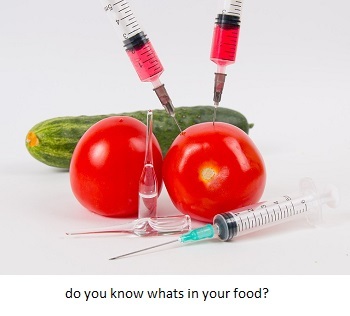 But when you think about exactly how many food products contain the GM ingredient; the top GM foods being corn, soybeans, papaya and sugar beets, you start to realize just how daunting of a task this can be. First and foremost, you can choose organic produce over conventionally grown varieties. Next, reduce or eliminate the processed foods you buy. When you do buy processed items, you have to read the labels. If any of the ingredients are not listed as organic, than you can assume they are GM. Of course, reading labels does not guarantee that you’ll know for sure that every single ingredient in the food item is non-GM, mainly because manufacturers are not required to list every single ingredient used during manufacture. The whole process really is an uphill battle, but taking these steps can at least ensure that most of what you eat is relatively safe. Online databases of organic manufacturers exist online to help you out, too. Genetically modified foods seem to be here to stay and will likely only get more plentiful. Now more than ever, you have to take total control of your food choices to protect yourself and your family. I urge you to do your homework and say “NO” to GMO food now and in the future. 2. International Journal of Biological Sciences. De Vendomois JS, et al. Int J Biol Sci. 2009 Dec 10;5(7):706-26.